When we all got together for the first time at the end of the summer term in July 2013, I don’t think any of the members of the newly formed Beaumont Teaching & Learning Team realised what lay ahead. We knew that we could all sit around and enjoy talking about something we all felt passionate about – education and making the learning experience of pupils at Beaumont School the best that it could be – but we didn’t really know whether or how we would be able to have any impact. I think we all felt that the main aim of the team would be to facilitate the sharing of ideas and the good practice that are prevalent across the departments in the school, so that everyone could benefit from the creativity of many, and the enthusiasm and commitment of all, to making learning opportunities in the school the best that they can be. When we now look back at the term, I think we will all feel as if our work has had some impact. 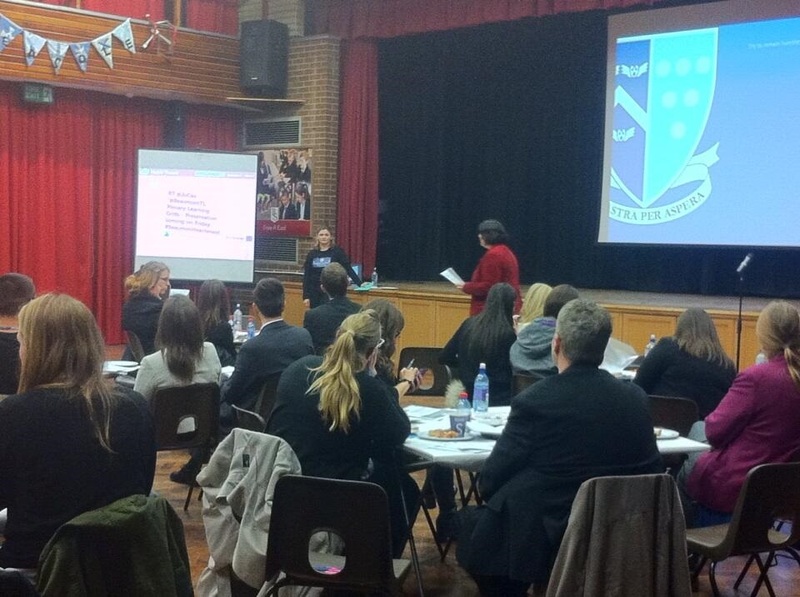 We have held 3 very well attended Learning Lunches, 2 twilight INSETs and a fantastic TeachMeet. We have set up a busy Teaching & Learning blog, established a twitter account and started to develop a pearltree of our favourite T&L websites. We have provided staff with a Black Box of Teaching & Learning ideas on cards, which we try to add to on each INSET; a Take Away board of ideas for quickly helping pupils demonstrate their learning or progress in a lesson; and an amazing advent calendar of quick ideas which appear day by day throughout December. But most of all, I’d like to think that we have helped teachers to see that they are all brimming with ideas for wonderful things to do in the classroom – so much so that we need lots of different ways to share those ideas. It seems to me that there are a lot of “T&L conversations” happening both within and, more importantly, across departments, and teachers are regularly talking about resources that they have seen or found and have adapted to use in their own subject area. If the enthusiasm before, during and after the TeachMeet was anything to go by, talking about Teaching & Learning is high on the agenda for many of us. We hope that we can continue to provide opportunities next term where those conversations will be just as plentiful. 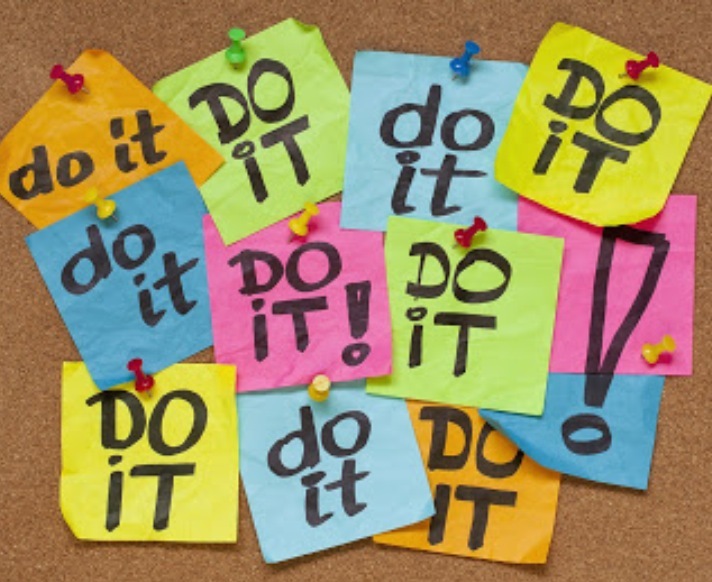 In the meantime, if you are doing something in your classroom which you would like to share, why not drop us an email (beaumonttl@gmail.com, or anyone on the Team – see the list in Who’s Who) or send us a tweet (@Beaumonttl) or talk to one of us (the photocopying room seems to be a good T&L chat place these days!) and we will help you to find a way to share your ideas widely across the school. On the afternoon of Friday 8 November, there was a whole new feeling in the hall at Beaumont School. We are used to preparing the hall for big events – chairs out, screen up, programmes at the ready and some staff and pupils on standby to meet and greet – but this was a dark, and very wet Friday (school events are never usually on a Friday), the event did not involve an audience of parents and did not have any pupils to sit back and watch or be proud of. 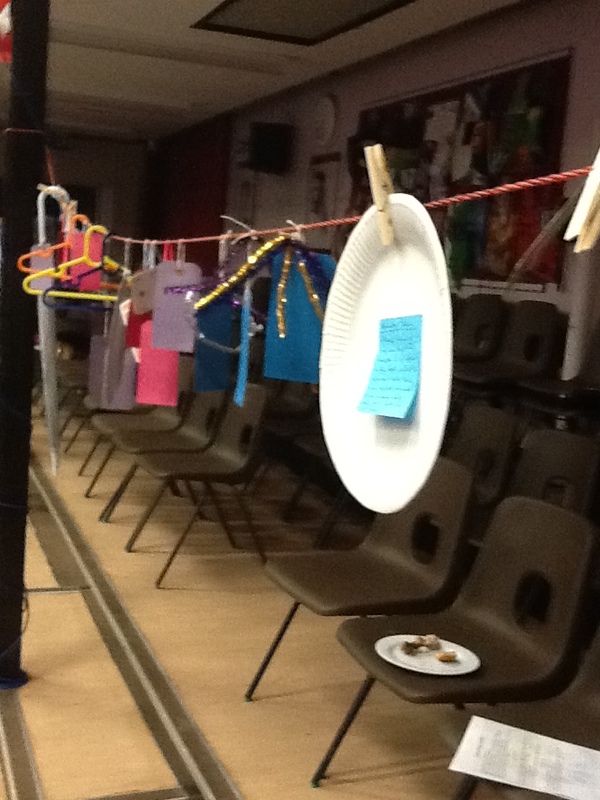 We were hanging out a washing line with pegs, putting strange objects such as coat hangers, dominoes and uninflated balloons with attached luggage labels on chairs and preparing for our first TeachMeet. There was a palpable tension in the air as we really had no idea how the event would be received. 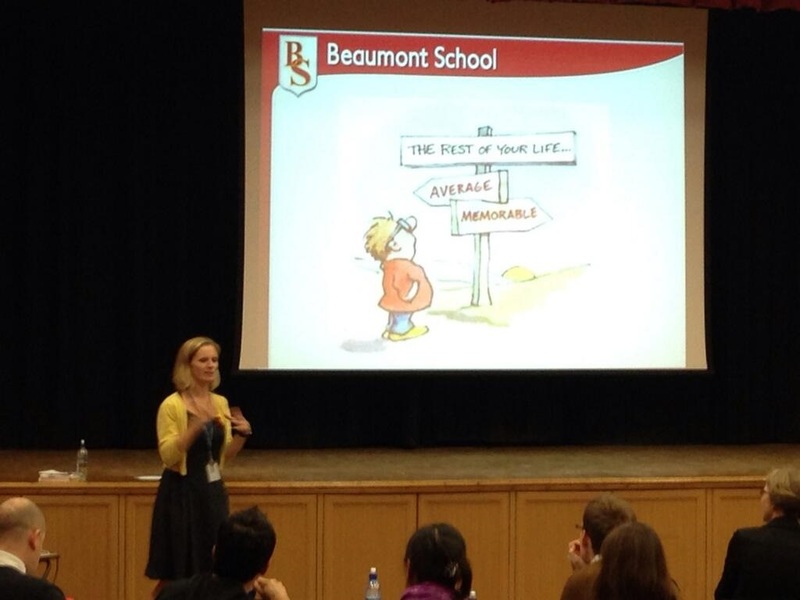 As the first few teachers from schools across Hertfordshire arrived, the Beaumont Teaching & Learning Team kept mouthing to each other “there are real people here – they have actually come!” and we realised that we had arranged something special. 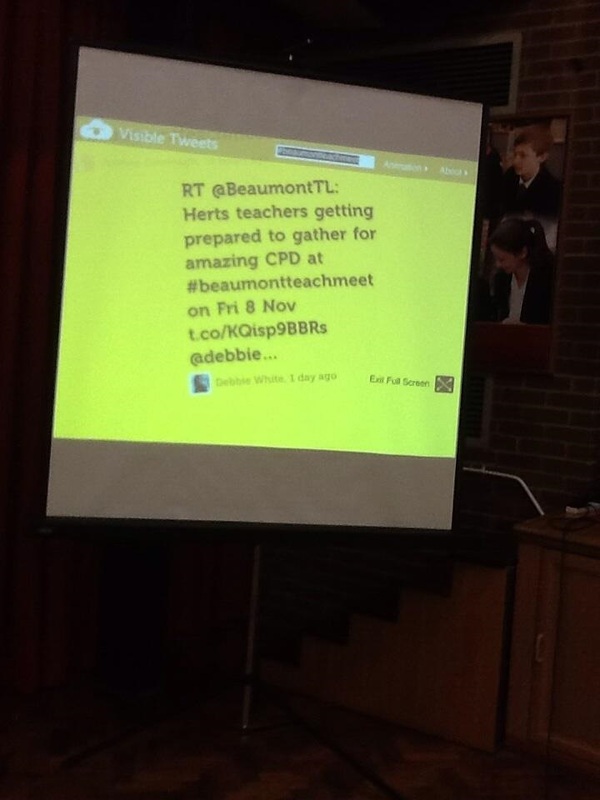 Unusually for a school event, we were encouraging the audience to get out their phones and tweet throughout the evening and a live feed (#beaumontteachmeet) appeared on a screen. There was a buzz in the air and everyone was frantically asking questions, sharing ideas and making new friends and contacts. I felt proud to be a teacher amongst these enthusiastic and skilled professionals and came away from the evening wondering in what other walk of life you find people giving up their time, for free, to develop the skills of a profession about which they are so passionate. 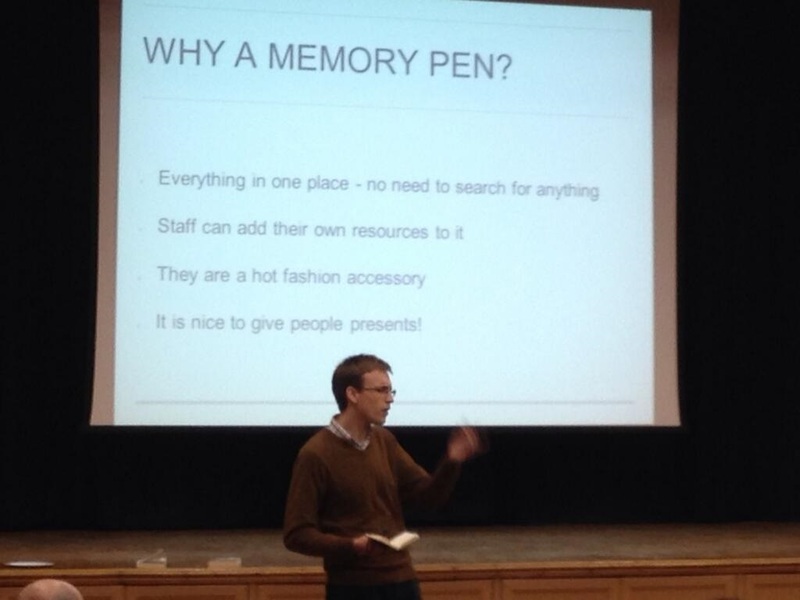 John Mitchell (@Jivespin), a History Teacher and Deputy Head of 6th Form, was one of the presenters at the event and wrote about the event on his own Teaching and Learning blog here. “The real value of the meeting was to meet with teachers from other schools who were like minded in wanting to find new ideas and improve their practice. This generous and positive atmosphere was fostered by the Beaumont School’s Teaching & Learning Team” – Thanks John, we are so pleased you enjoyed it. What follows are thoughts and reflections of others who were there. 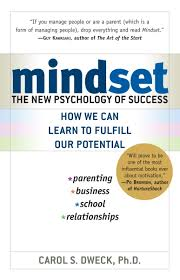 “ I was inspired from Laura’s presentation to read Mind-set by Carol S. Dweck. I am 10% through (as my kindle tells me) and already can’t put it down. I think it is very important to encourage students to have the mind-set that working hard achieves results and not to stick with a fixed mind-set of a label or test score given to them. This requires students to be resilient and have a go. Having this growth mind-set will inspire students to ‘be the best they can be’ even when they get a knock.” Fiona. So, what do you think? Should we do it all again? Well we will all need to recover first. 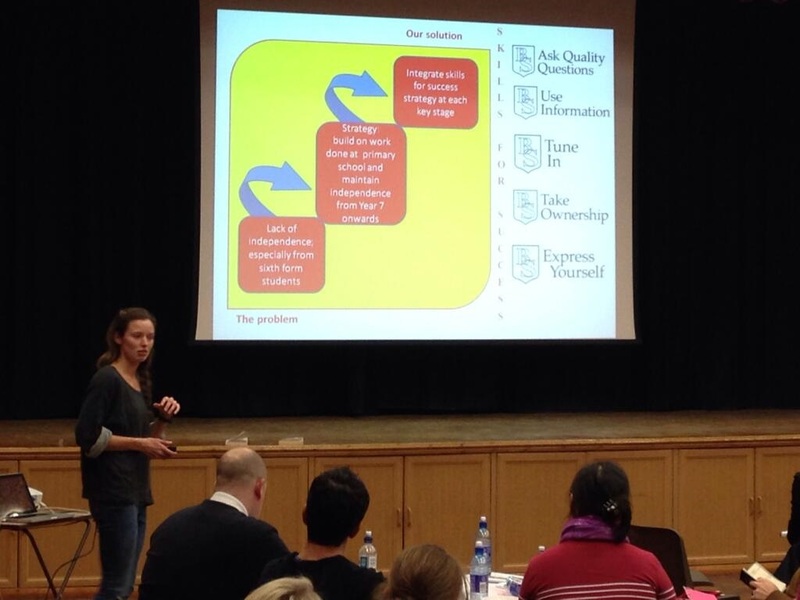 But I’d like to think that it was our FIRST TeachMeet, rather than a stand alone event. Let us know if you would be interested and if you have an idea to share – 3 minutes to present – go on, have a go! 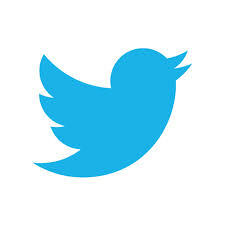 Since becoming a lover of all things Twitter related about 2 years ago I have followed @teachertoolkit. Ross McGill – the man behind the mask- has arguably been a crucial part of the growth in ‘tweaching’. As previously posted by Sarah Hosegood the Beaumont T&L group has several secret and not so secret tweachers amongst us. 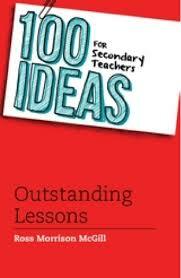 I have followed @teachertoolkit with admiration, interest and occasionally annoyance. The annoyance came with the crazy amount of retweets about his book and all these people saying they had ordered it. Eventually it all got a bit much so I went for the “if you can’t beat them join them approach”, and ordered my own copy. On the day it was delivered to school I ran straight to the Chemistry prep room to wave it with excitement at Jo Cavanagh, as we share regular @teachertoolkit updates. The first thing I think I said was that the book not being rocket science. Much as this may sound like a negative the more I have read the book the more this thought fills me with joy. Nothing in the book is especially difficult. Some of the content I find myself saying “I do that” or “when I watched Teacher X they did that”. It is this that makes the book a sound purchase. I was in our staff mark room the other day and one of our trainee teachers had the book and we got into a bit of a chat about it. He was finding it very useful due to its size and ease of use. 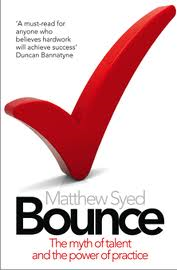 Over the years I have ploughed through many books on teaching and learning and some of them are a slog. 100 Ideas is not. It’s the sort of book my dad would like. My dad isn’t a teacher; he was a prison officer (make any links you wish) but he likes picking up a book flicking to a page having a quick read and putting it down again. He is not a cover to cover kind of guy. This is the great advantage of this book. Easy to use. Easy to read. I have taken a few ideas from the book to put into my own ever evolving drama studio but the main thing I take away is reassurance. The reassurance, that for several years now, we have been doing the right thing. Our drive and belief at Beaumont to put teaching and learning at the heart of everything we do is something of which we are all proud. There is no formulaic structure that all lessons in all departments must follow to the nth degree. Instead we have always encouraged teachers to own their lessons, own their classrooms and most importantly know their students. If your lessons are creative, well-structured and focussed on the adoring little faces in front of you, you are pretty much there. Thank you Ross for the ideas, passion and confirmation. On Wednesday evening at 6.45pm, two different laptops in two different homes in St Albans were logged on to a Webinar. The speaker was Isabella Wallace, author of Pimp my Lesson. For an hour we listened and watched a presentation entitled Poundland Pedagogy and Pupil Participation. Teachers were logged on from all over the world to get some top tips from the Poundland Princess. Top Tips flowed to promote enjoyable participation. The Secret Spy Cards are distributed at the start of the lesson so that students remain tuned in to what each other are saying. 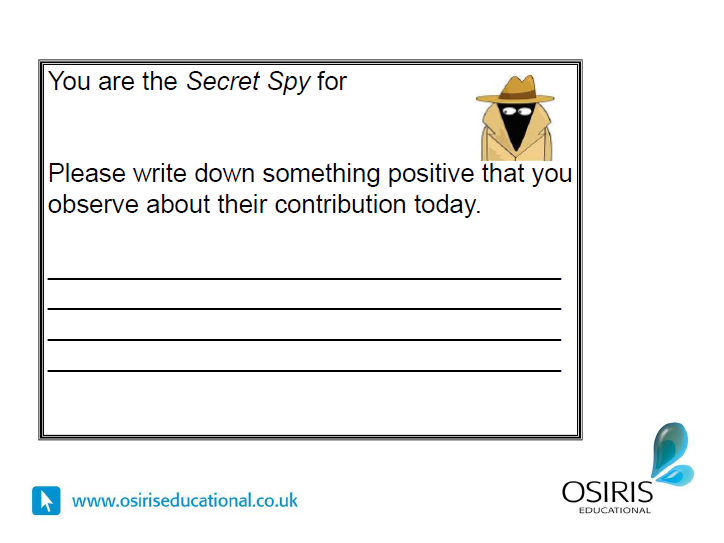 The cards can either be handed in at the end of the lesson or you can ask a selection of students to say what they observed and then the rest of the class have to guess who they are the Secret Spy for. A favourite of Hosegood’s. When you are letting small groups discuss a topic, give them a ball of wool or string. The person who speaks first holds the end and the ball gets passed around creating a discussion web that shows the path of the conversation. Great for encouraging everyone to contribute as it is harder to opt out. At the end you can look at the web and discuss the behaviour it illustrates. Other ideas included Talk Tokens, Mystery Learners, Landing Cards, Boarding cards and Exit passes. Isabella then went onto a section on #poundlandpedagogy. This is a great hashtag to search on Twitter. Tweachers have started to pace the aisles on poundstores looking for lesson inspiration. 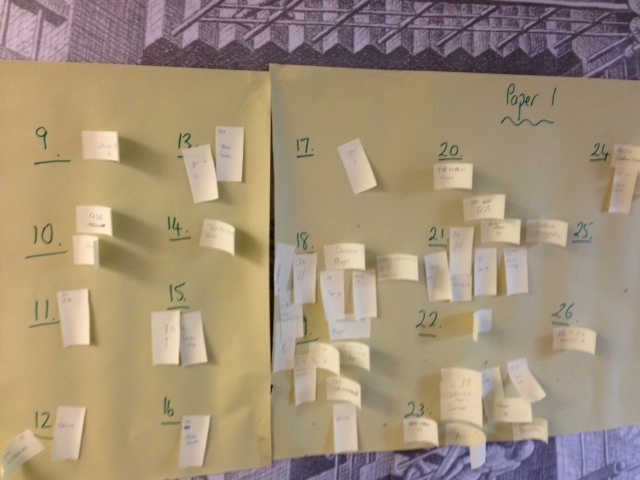 Some of the things that can be used in lessons are…..
Blank dice, Cake stands (can be used to show hierarchy if you add postits), paper plates, Paper tablecloths, luminous jackets, papercups,bunting, paperchains, clothes pegs, plastic eggs in 2 sections, Lego. It was an hour well spent and if you haven’t investigated the work of Isabella Wallace we would encourage you to get involved. You can follow her on twitter (@WallaceIsabella) or visit her website here.